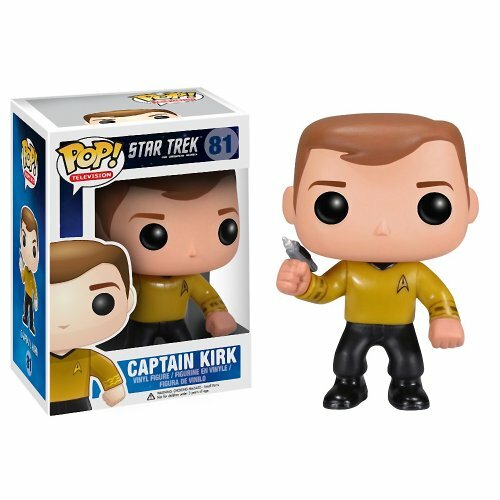 Funko Pops are hugely popular with gamers and geeks of all ages and these Star Trek characters should appeal to many Star Trek fans. Sadly, the later series don’t seem to be represented but if you grew up with the original series or The Next Generation like me, you’ll definitely recognize all these characters! One of the recurring alien races in multiple episodes and in multiple series, were the Borg. 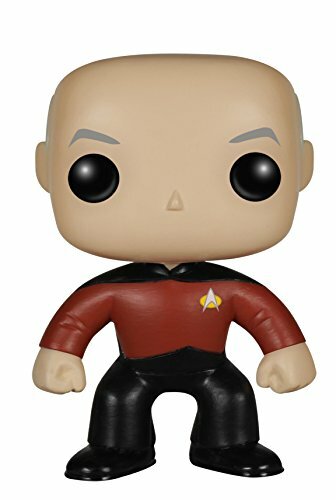 Perhaps the most famous of them all is when Captain Jean-Luc Picard is assimilated and becomes Locutus. Of course, Seven of Nine in Star Trek: Voyager is also a Borg, separated from her collective but Funko don’t have any Voyager characters. 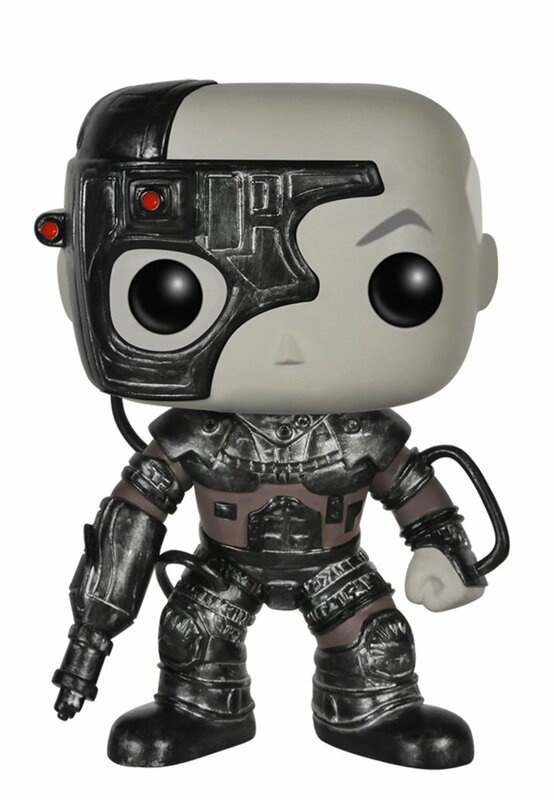 I love this Locutus of Borg Funko Pop – the details on his armor are great and I think he’s instantly recognizable. The second incarnation of Star Trek became The Next Generation – probably one of my favorite TV shows ever. I liked the larger selection of main characters and the inclusion of younger people like Wesley Crusher, as well as the family stories like Chief O’Brien. 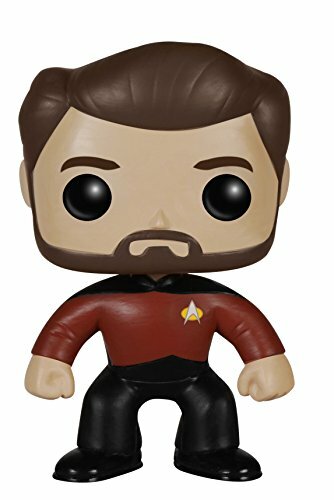 The six main characters all have their own Funko Pops but I was sad not to see Dr Crusher or Wesley in the list. We all have our favorite characters but I honestly struggle to pick a favorite! I do love Picard though! I didn’t realize until I put this section together, how many of the main characters wore the yellow shirt of engineering, security and operations but I guess it makes sense. Worf was Chief Security Officer, La Forge was Chief Engineer and Data was Chief Operations Officer. 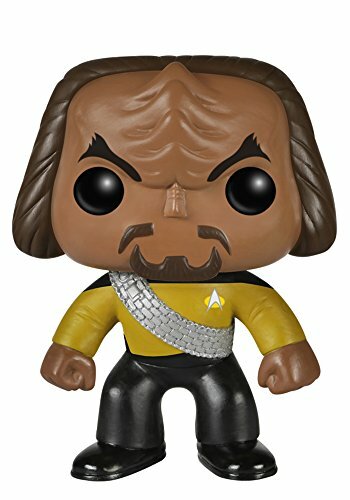 I love the Worf Funko with his Klingon warrior’s sash. 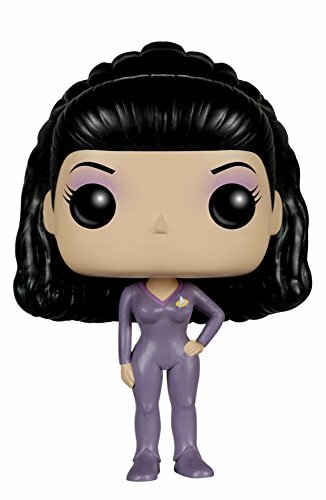 For such a rich and long running TV show, I was surprised how few Funko’s there are. These three below are the only other alien races included in the range. The Andorians cropped up in almost all the series but became most familiar in Star Trek: Enterprise where they made regular appearances. The Orion Slave Girls were in the original pilot but then only reappeared in a single episode also during Star Trek: Enterprise. 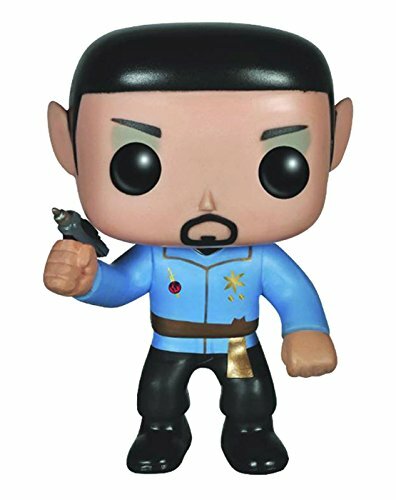 I’d love a Ferengi Funko of Quark from Deep Space Nine – I loved those funny little money-grubbers! A collection of Star Trek collectibles wouldn’t be complete without characters from the first incarnation of Star Trek. 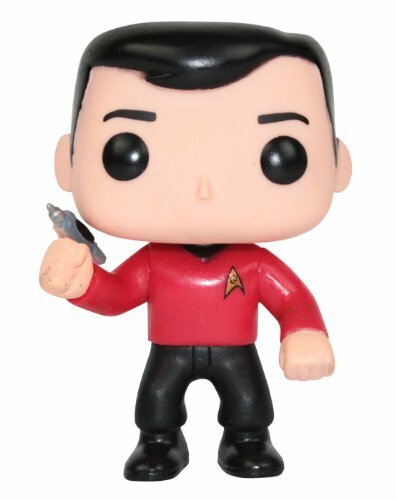 Sadly, Dr McCoy is only available as an action figure or as a funny Dr McCoy bobble head figure but Spock is available in two versions – the Mirror Mirror episode below and the normal everyday Mr Spock. 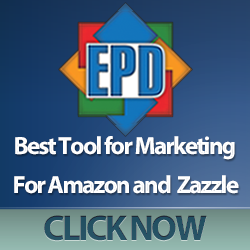 I hope you’ve enjoyed today’s post. It was a bit of a trip down memory lane for me and has made me want to rewatch all the old shows! 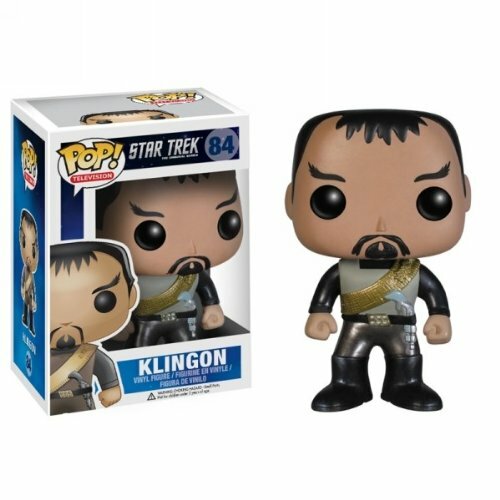 If you’re not into collectibles like these Funkos, we found some other great Star Trek gift ideas so check out those posts below. 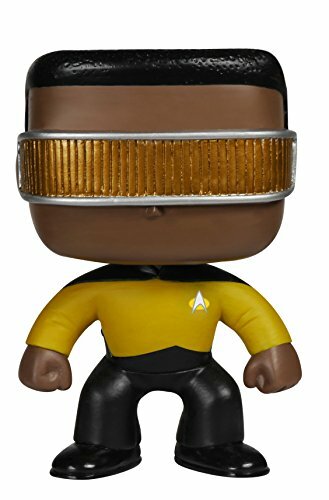 There are loads of Star Trek gift ideas dotted through our other posts too so you can use the Search box to find even more gift ideas for your Star Trek fan. 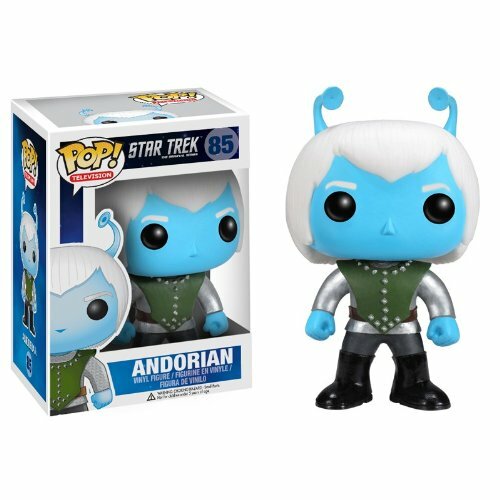 I’m no Star Trek fan, but that Borg Funko Pop looks pretty damn cool imo. 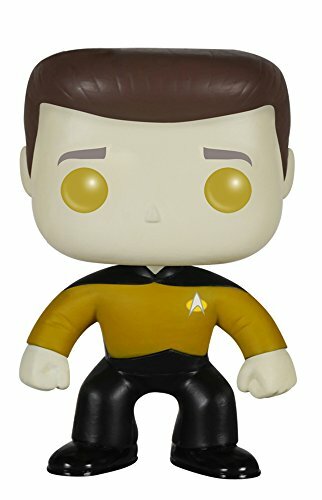 I bet that would make a great gift for a star trek fan.